Our little fly-shop has consistently been noted as one of the best in the Midwest. Sitting on the banks of the world famous Holy Water section of the Au Sable River, we test our fly patterns on some of the pickiest fish in the country. Our fly selection is second-to-none, and the vast majority of our patterns are tied in Michigan, specifically for this river system and its wild trout. We’re open from 8 am to 7 pm, seven days a week, throughout the fishing season – and most every other day as well! Our staff are experienced anglers, and know the rivers, the flies, the accesses. We’re here to help you catch fish and have fun while you’re in our area. We’re at the lodge 365 days a year to take mail orders – we ship UPS daily. From shop specials to special orders, please call for any item and we’ll do our best to get it for you. 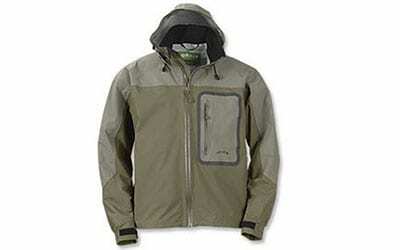 We are an authorized Orvis dealer, and carry a full line of Orvis tackle and accessories. 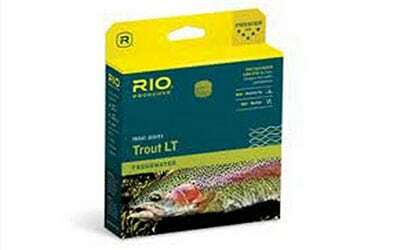 We also stock other top quality tackle brands, including Winston, Simms, Ross, Abel, Rio and Scientific Anglers. It’s often been said that if we don’t have it, then you don’t want it! 8am to 7pm Seven days a week. Call us: 989–348-8462 Visit us online 24/7 at gatesflyshop.com. You can shop our online store at GatesFlyShop.com any time. We ship quickly, and all orders over $50 ship free! Oh, and everything else ships for just $7.95 in the lower 48. 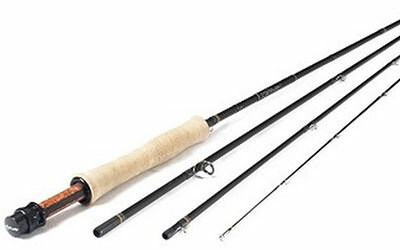 We carry a full range of fly rods from Orvis, Winston, Scott, and Seele. 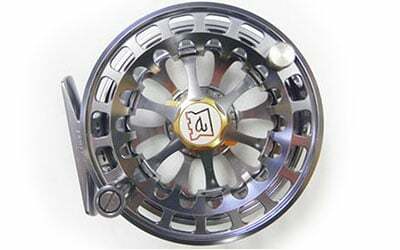 Our extensive reel collection includes models from Orvis, Hardy, Abel, Hatch, Lamson, Nautilus, and Ross. Find fly lines from Rio, Cortland, and Scientific Anglers for dry fly fishing, nymphing, the streamer junkies, and more. 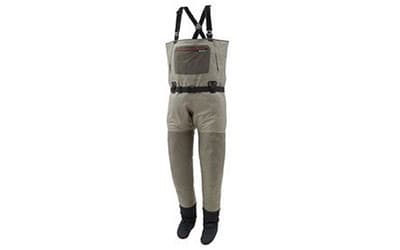 Keep dry and comfortable with waders from Orvis, Simms, and Patagonia. 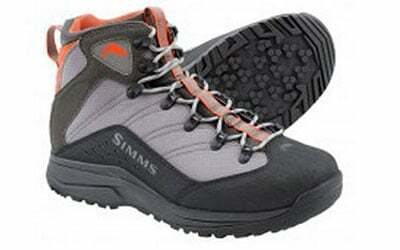 Our full line of Orvis and Simms boots and wading shoes will help keep your footing stable while stalking trout. 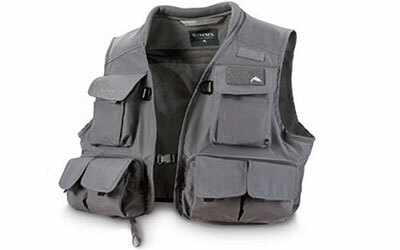 Storing your gear on the river is essential, and we have Orvis, Simms, and Patagonia vests and packs to help. From jackets for snow and rain, to hats, socks, gloves, shirts, and every type of layering apparel we can help you stay comfortable. 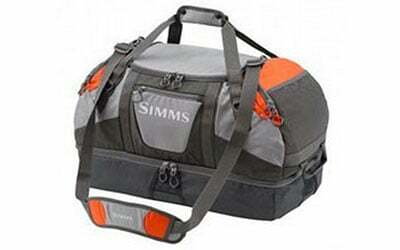 Hip packs, backpacks, sling packs, and boat bags are all here from Orvis and Simms. If there’s an accessory or tool out there, we probably have it! Forceps, indicators, fly boxes, tools, gadgets, and more. Not sure what to get? 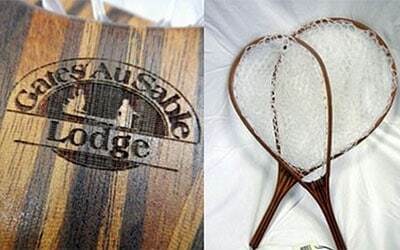 Browse our unique selection of gift ideas for every type of angler! 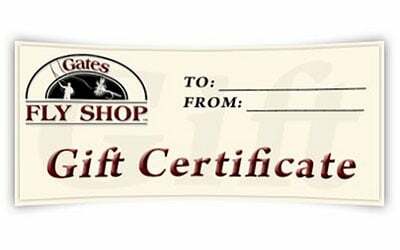 The ubiquitous gift certificate! Let them choose what they want with certificates from $25 to $500.